Step 3 in the Digital Scrapbooking series! Step 3, Now You're Wild and Free! This is the third in my digital scrapbooking beginner's series, and if you've taken Digital 1: We've Just Begun, and Digital 2: Just Me and You, you're in the right place! 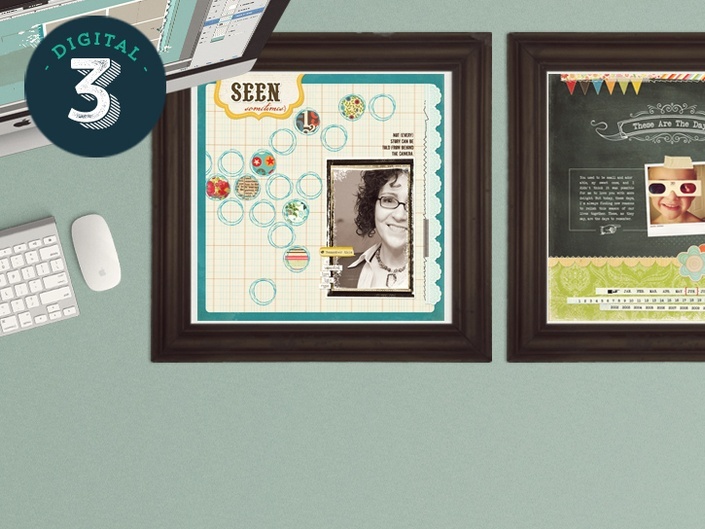 Our Goal: Share Our Love of Digital Scrapbooking! There are lots of reasons to love digital Scrapbooking from the instant sharing to being able to create custom art. we hope you'll love it all too! 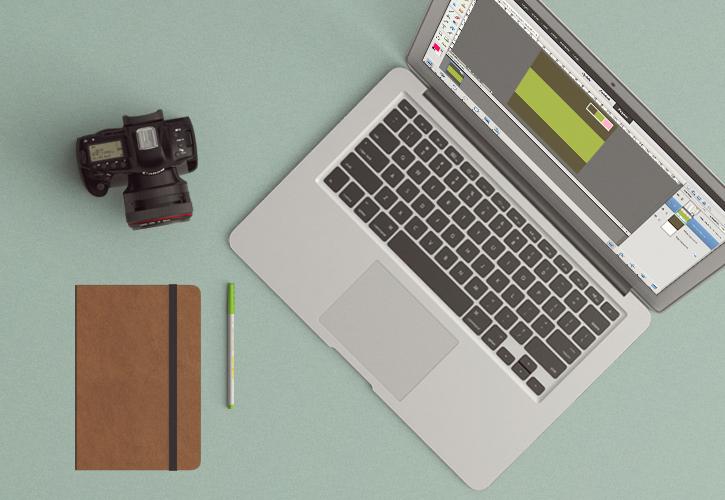 You can use your computer and Photoshop or Photoshop Elements to create gorgeous projects that showcase your photos and words, AND share them online instantly with family and friends all over the world. 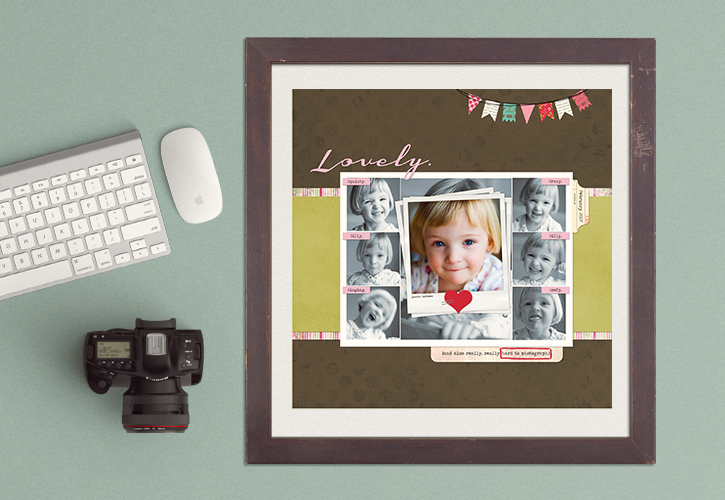 You can print your digital scrapbook pages individually, or transform them into photo albums as keepsakes or gifts. I'll share resources to help you get perfect prints and photo books every time. This is the big one. It should be written in big red letters and then underlined 1,000 times. The best thing about learning how to use Photoshop, is the learning. The skills you'll gain through the class series here will last you a lifetime, and you'll be amazed at all the things you're able to do (posters, flyers, kids' school projects, announcements, home decor, you name it). Those creative wings are just waiting to unfurl, and it all starts right here. All of the classes here at JessicaSprague come with gorgeous video instruction, broken down into project-based lessons and individual tasks within each lesson. This bite-sized approach to Photoshop makes it easy to understand, and you'll be amazed at what you can accomplish in just 30 minutes at a time! The prerequisites for this class are Digital 1 and Digital 2. You'll need a computer with internet access, and have any version of Photoshop Elements 9+ or Photoshop CS5+ installed. Adobe offers a free 30-day trial of these programs in its latest version. The Digital 3: You're Wild & Free course is the third installment of the JessicaSprague Digital courses!. By the end of class, you will have learned new Photoshop techniques including adding borders and drop shadows! How awesome is that? We love to see your photos and cherished albums, and with every JessicaSprague.com course, there are many different ways to get in touch to show off your art, or ask a question! Register now, and I'll see you in class! Learn more about gifting classes here. Lesson 1: First Layout from Scratch "This is the Good Stuff"
Lesson 2: "Then & Now"
Lesson 3: "'Luck' is a Relative Thing"
Testimonial : "FANTASTIC!!! Jessica is an EXCELLENT teacher. Very easy to follow, great speaking voice, just the right speed. It is how I learned to digital scrapbook! I learned it ALL here. " All of the classes here at JessicaSprague come with gorgeous video instruction, broken down into project-based lessons and individual tasks within each lesson. This bite-sized approach to Photoshop makes it easy to understand, and you'll be amazed at what you can accomplish in just 30 minutes at a time! You can see first hand what I'm demonstrating, then try it for yourself right there! The freedom to rewind, relisten, and rewatch makes this course easy to follow, even with the most complex techniques. I'm right beside you the whole way! As a scrapbooker, instructional designer, and graphic designer, I teach techniques you'll find most useful, most interesting, and which deliver the best results throughout every layout you make. You'll gain the skills, knowledge, and confidence to create scrapbook pages that make your heart sing! I love watching pages come together, and I LOVE seeing students' work! I can't wait to see yours! Let's unfurl those creative wings together, right here! All you need for this class are your photographs! I'll provide downloads for everything you'll need to complete each project. In addition to the lesson projects, I'll offer challenges, extra information, links, downloads, and other materials designed to enhance your experience and deepen your understanding of how to use Photoshop. This is about YOU - your investment in yourself, and I can't wait to share what I know! You'll take the class completely at your own pace (you never need to be online at a specific time), and all of the course materials are available to you FOREVER from your My Classes page here at JessicaSprague.com. Our classroom also features a private forum where you can ask and answer questions and participate in discussions, as well as share your beautiful work with me and the other students! Register now! I can't wait to see you in class!